The show will provide local news, weather and travel information inserted from each region. The move has been made possible thanks to changes in Ofcom’s localness guidelines, first published in October last year. Here’s who is leaving Capital regional breakfast and who will be hosting the new regional drive shows from today. Today also sees the launch of Capital Lancashire, replacing 2BR which until 10 days ago provided a local radio service for Burnley, Blackburn, Preston and surrounding areas of central and east Lancashire. This is an historic day for commercial radio in the UK as, after years of lobbying for rules to be relaxed, Global become the first group to offer a networked commercial breakfast show across Great Britain. In 2007, Connect FM moved out of Kettering to share with Lite FM in Peterborough, kick-starting the trend of co-location. We predict the practice of big name breakfast shows shared across a number of stations will become the norm in the coming years, just as co-location is now expected. No other group has indicated any plans to network breakfast on a major scale, but Bauer currently syndicates breakfast on Greatest Hits Radio on FM in Liverpool and West Midlands. Enjoying the new show in the East Midlands. Did hear a Dino, Pete and Tyles sweeper after the 9am news. Oops. Couldn’t they have networked someone like Scott Makin on Capital Breakfast? He’d be better at the gig, is someone the audience can “get” better than Roman! Scott Makin really? No disrespect to him but he’s not even vaguely someone who would ever appear on a Capital station. Scott Makin is the sort of presenter who the audience can relate to, and he’s been on stations as diverse as Viking FM, TFM, Metro, Real Radio, Hallam FM, Radio Aire, BBC Radio Tees. 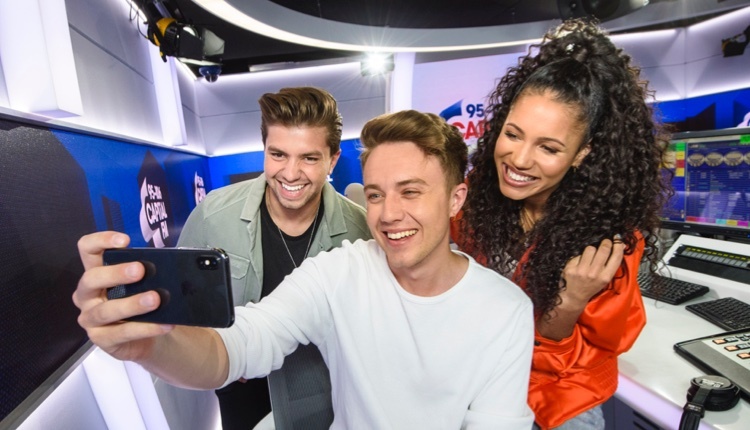 Roman Kemp, on the other hand, could move to Rock FM drive and he’d be more suited there than Capital. He’s a Northerner, and could easily do the show from Newcastle rather than them having Roman Kemp from London. We will agree to disagree. Scott Makin is way too old for this audience, it’s a very young brand. I’m not particularly a Roman kemp fan but he’s deff more in the demo that Scott. Which shows how good he must be! ….. and endless ‘stars’ ?? Because it’s far more entertaining than someone who presents solo playing loads of jam jingles. I couldn’t agree more with this comment! Love it when dinosaurs get angry. It’s all rubbish. No single UK station worth listening to anymore. I listen to non UK stations and believe me there are many that produce exciting,entertaining and stimulating programmes that go well beyond the predictable formulaic crud that UK radio has become. Long live radio! Did you listen to it all 4 hours then ? The very fact you CAN listen to radio from around the world means commercial radio here needs to consolidate and invest big in marketing and talent to continue to survive. The days of two TV channels and a handful of radio stations to choose from are over. And RAJAR suggests radio is doing very well in the UK despite it being “crud” in your opinion. What about Tom ,Lyndsey and Jack the lad on Sussex breakfast? Another nail in the coffin for local radio. Manchester used to have a top notch dance station Kiss 102. Broadcasting the same output on Digital one “Capital UK” and on our local multiplex “Capital Yorkshire” Nice to see global have got there priorities right!! I don’t think Capital UK, Heart Extra or Smooth Extra will be on D1 for much longer. Yawn yawn. Global are a grab and slash company. What do you expect? You know their strategy by now. It’s not news. Global used to say the reason they wanted to syndicate their output was because of a challening commercial market yet they made over £300 million pounds in profit last year before this national breakfast show madness. It’s about time they ploughed some back into quality local output now. Thanks OFCOM – the UK commercial radio toothless regulator. The name of the game in any business, in any industry, is to maximise profit. And if the product suffers then sales/audience will fall and benefit competitors (capitalism). But the audience simply will not drop in this case, because Capital listeners aren’t arsed where their presenters are based. You might not like Global but from the outside they seem to know what they’re doing. That’s right in an industry where competitors can easily enter the market place but FM spectrum is a limited resource, and DAB is too expensive for local operators. As with rail, gas, water it’s up to the regulator to ensure that licence holders deliver a minimum public service in return for holding those valuable FM licences. If Global want to launch national breakfast shows on apps or DAB this is fine, but they shouldn’t be allowed to use local FM spectrum to build a quasi-national station. That isn’t the purpose of these licences. We have the BBC and community radio for public service. But there should always be a commercial sector that’s allowed to robustly compete for audience in any way it chooses. So let Global and Bauer compete for ears. If we end up with “crud” radio then they’ll have to rethink their strategy to retain their audience. But RAJAR suggests localness simply isn’t the important issue many on here think it is. Ruined a perfectly good radio station in 2BR. Can no longer listen to this frequency, all radio stations sound and play all the same rubbish, so back to CD’s I go. New format pretty boring, just interested in so called “star” interviews … yawn!. Bodg, Matt and Hannah on the Newcastle show were funny and had genuinely good craic with local people. I’ll be switching off from now on. terrible idea, mind what happened last time romans came up to scotland? didn’t end well.